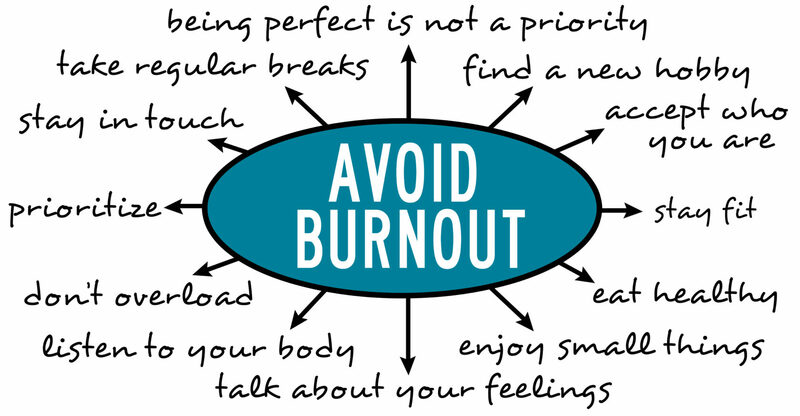 Burnout impacts most of us at some point in our working lives. It is a combination of the emotional, mental, and physical exhaustion caused by working long hours. The symptoms develop, under the radar, in the form of excessive and prolonged stress. Over time our enthusiasm, passion, and energy are buried under the weight of the stress we’ve been carrying around. Burnout can wreak havoc on our health, happiness, relationships and job performance. Independent contracting professionals can be particularly susceptible to burnout due to their exhausting schedules, willingness to take on challenges, and deadlines in fast-paced work environments. Our health and happiness are so fundamentally important to our survival, yet they can be the first contenders to be put to one side when we are short of time. When work starts to affect our health either physically, mentally or emotionally, we will often find ourselves fatigued and unhappy. To successfully run a business we need to manage ourselves as the number one priority. Then, and only then, we can have the energy to tackle our client’s projects with the passion and enthusiasm that they deserve. will likely become tired and stressed and achieve less than if you make time to eat, sleep, exercise and relax every day. deadline and quality may be sacrificed. You are your own boss and responsible for the quality of your work – remember that this is your brand! Therefore, it makes no sense to offer a sub-standard effort because you take on too much. and smart phones. They can consume large amounts of your time and energy. Take five or ten minutes back for yourself and feel great about it. Taking a few minutes each day for reflection and self-introspection will pay huge dividends.Benjamin Franklin summed it up when he said, “Some people die at 25 and aren’t buried until 75”. family is a sure way to burn out both mentally and emotionally and is an expense that should be avoided at all costs. Spending time with others can also provide fresh perspectives, stimulate new ideas, and help us discover previously undiscovered resources. Having a “Circle of Genius” to discuss issues with as a business owner, is of great benefit! become overstretched you run the risk of getting on that “slippery slope” of working too hard, not looking after yourself and damaging your health long term and maybe even your career too! Ask For Help – In the real world you won’t be able to do everything yourself. As mentioned above the “Circle of Genius” can be a big help – think of those who you can pick up the phone to at any time to discuss ideas and issues.Always ask for help when needed, you might just be surprised with peoples willingness to help. By managing yourself and your time wisely, you can ensure that you are operating at peak performance. Remember that breaks are necessary and can improve productivity, allowing you to recharge and refresh your mind. So sitting down with a cup of tea reading a blog from time to time should be on your agenda! ?